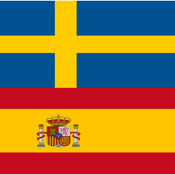 This is the most versatile Swedish-Spanish-Swedish dictionary in the markets. An awesome tool for traveling, reading or even to learn a language. The vocabulary database is installed with the application.